Chief Executive Officer of SJD Barcelona Children's Hospital since april 2003. President of the Factor Humano Foundation's Advisory Board since 2016. Member of the Children’s Hospital’s International Executive Forum since 2010. He is a specialist in Family and Community Medicine and holds a Master's degree in Public Utility Management from the ESADE. 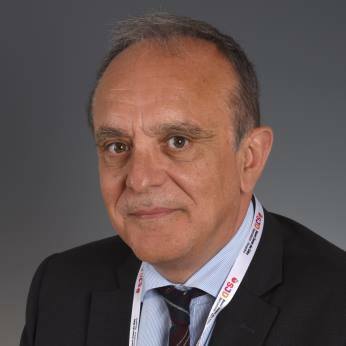 He embarked on his career in healthcare as Primary Care Manager in Mallorca (1988 - 1993), and then as Provincial Director of the Balearic Health Service (1993 - 1996), Managing Director of the Hospital Manacor Foundation (1996 - 1998), Manager of the Municipal Hospital of Badalona (1998 - 2003), Deputy General Director of the Catalan Hospital Consortium - Consultancy and Management (2001 - 2003), and he occupied the post of General Secretary of the Board of Trustees of the CAPSS Social and Medical Care Employer's Association (from 2007 to 2016). He has received the following prizes: Arthur Andersen Diario Médico 2001, Bearing Point 2003, Profesor Barea 2008 (6th edition) and the Factor Humà Mercè Sala 2012 (4th edition) from the Factor Humà Foundation.